Harare - The circus at Dynamos football club continues to unfold, with rumours that fired coach Lloyd Mutasa could make a return to the hot seat, soon. The former midfielder is likely to return together with goalkeepers’ coach Zondai Nyaungwa, with Zuze reverting to his old role. 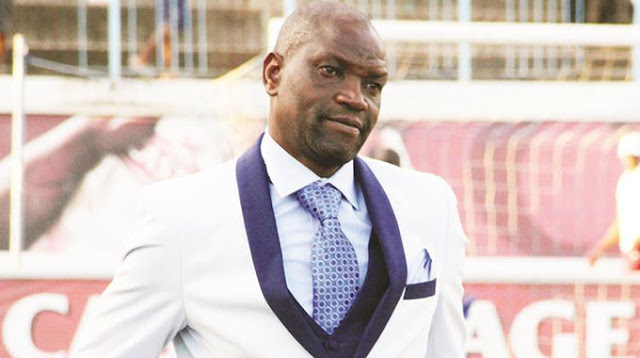 Mutasa was ejected from the coaching job three weeks ago following a poor start by the Glamour Boys, while Biggie Zuze - his assistant took the reigns. But Zuze has not fared better, managed five points from the last four outings, igniting an uproar within the supporters and executive ranks. Mutasa garnered nine points from 10 games, while Zuze got from a possible twelve points. Club’s board chairman Bernard Marriot-Lusengo is believed to have a soft spot for Mutasa and has had an influence on the return of the gaffer. He also overturned former assistant coach Murape Murape’s dismissal in 2016. Dynamos have barely changed their position on the log standings since Mutasa’s departure as they are currently trapped in 11th place on the log standings with 14 points from as many games. Zuze has been wilting under the pressure and on Sunday he appealed for a club stakeholders meeting to help resolve the club’s challenges. “I think we had started off in a very good way after collecting maximum points in Bulawayo. The players are trying their best but it’s the result that we couldn’t get, especially the last two games that we drew. “There are a lot of factors and also you can see the mind-set of the players after what happened (with the dismissal of Mutasa). “It’s for the whole set-up to come up with a very good plan which will suit everyone. (We need) the current players, the former players to come up with a very good plan which will build the confidence from the juniors to the seniors, the set-up that makes everyone involved. “We need to see the juniors’ structure being set up. We need to see how the welfare of the current players is managed,” said Zuze. Dynamos will travel to Triangle this weekend for their next assignment.